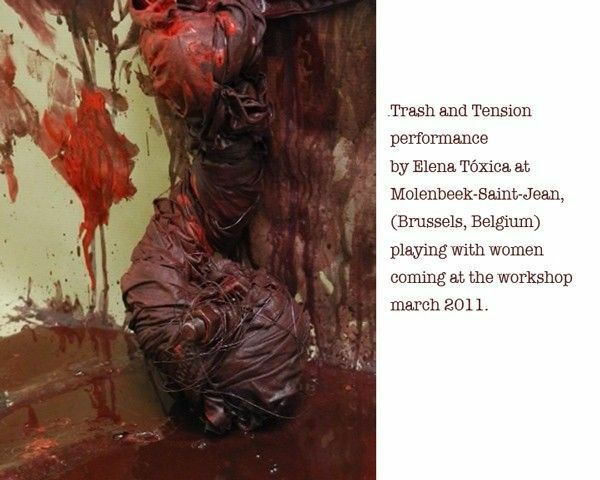 Trash and Tension - Toxic Lesbian, Artistic Projects, Art Performance. Museum for Contemporary Art from Castilla-León in collaboration with the Isadora Duncan Foundation. Reina Sofía Museum and Contemporary Art Center, Madrid, in collaboration with the artist Suzanne Lacy. 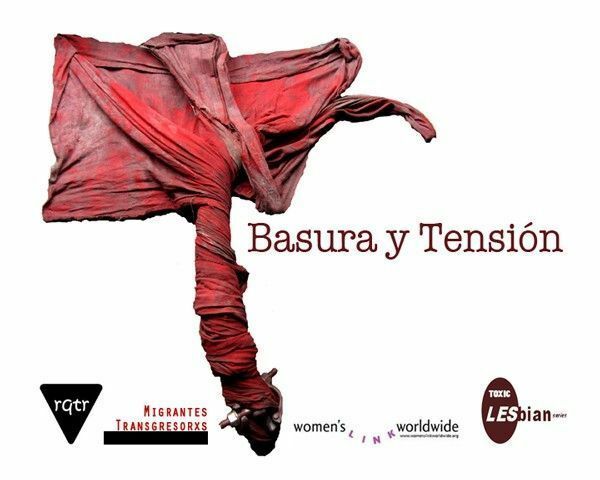 Matadero Contemporary Art Center, Madrid in collaboration with Women’s Link Worldwide and Migrantes Transgresorxs. The Tabacalera, Madrid, Generatech feminist Festival. 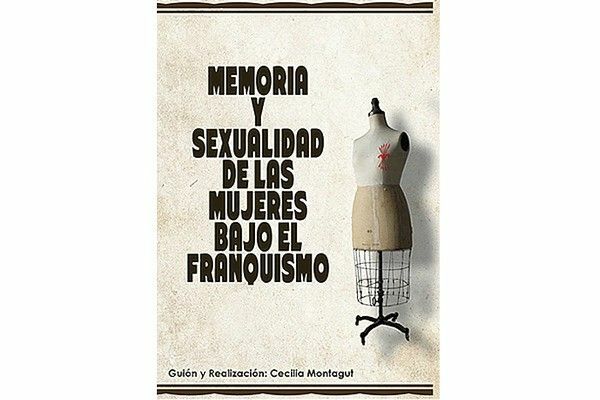 Arteleku, Donosti, Feministaldia feminist Festival. 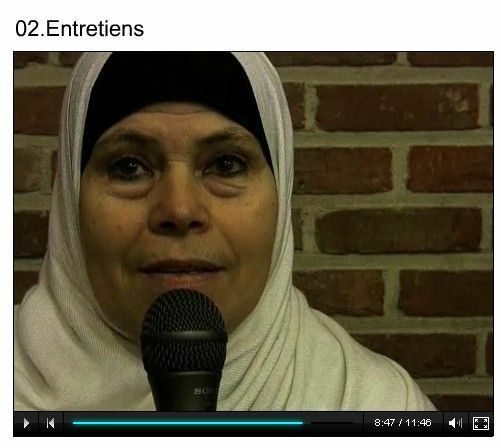 Vaartkapoen Centre at Molenbeek, Brussels (Belgium) in collaboration with Merhaba and muslim women associations. Financed by the Communauté Flamande and the Fédérations Mondiales Démocratiques. University Complutense, Madrid, in collaboration with the LGBT organisation Rqtr and Amnesty International. 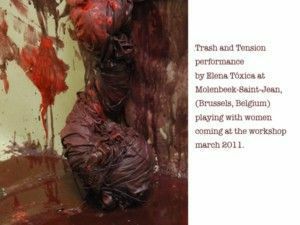 Trash and Tension (2010-2011)explores the exclusión from a feminist point of view and describes the landscape of marginalisation. It analyzes the circumstances surrounding the people who suffer this violence. 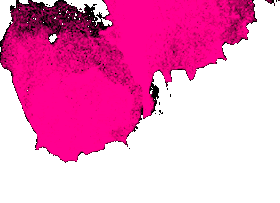 It is an art in progress project in collaboration with several cultural institutions in different European cities, social organisations and activists. 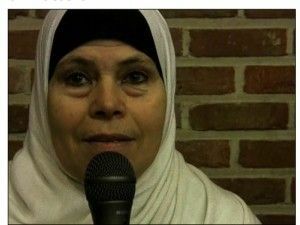 The project scheduled alive and online performances, open dialogues and interviews concerning muslim women in Molembeek neighbourhood, single mothers in León, or testimonies from women having a mental health problem among others. Development in the Museo de Arte Contemporáneo de Castilla y León. In collaboration with its Department of Education and Cultural Action, as well as the Isadora Duncan Single Parent Families Foundation, and the Copyleft K-maleón Festival, through performances and on an analytical level through open dialogues, a number of proposals were discussed with social agents on different levels of violence. The project was produced in three parts. The first, at Museum for Contemporary Art from Castilla-León, explored gender violence suffered by people with mental health problems, single mothers and women in prisons. A video art piece was produced for this event and an alive performance were developed simultaneously open dialogues and screenings took place at the Museum. 01. Trash and Tension 01 - Face-to-face and virtual session at MUSAC on 22 May 2010: open dialogues, screenings, performances and live streaming. 02. 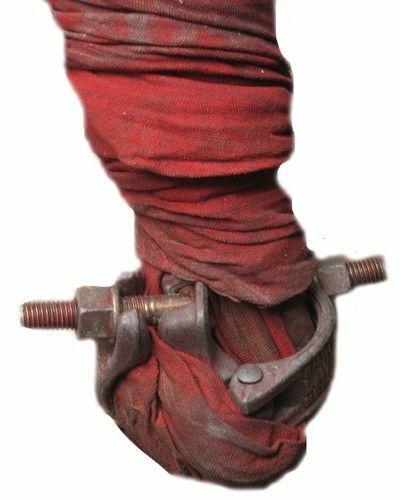 Trash and Tension 01 - Interviews with project contributors as an introduction to the open dialogues at MUSAC. 03. Trash and Tension 01 - Video production by TXC LSBN for this edition and shown during the face-to-face session with the performer’s participation. 04. Trash and Tension 01 - Interviews by Toxic Lesbian at MUSAC with the attending audience and those who participated in the dialogues. 05. 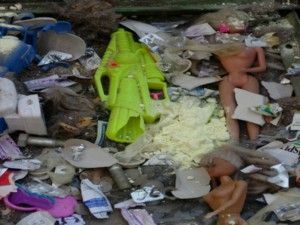 Trash and Tension 01 - Open dialogues amongst attendees of the face-to-face and virtual sessions at MUSAC and those invited by Toxic Lesbian. The second part was showed at Reina Sofia’s Museum, in collaboration with “Tattooed Skeleton” project by the american artist Suzanne Lacy. 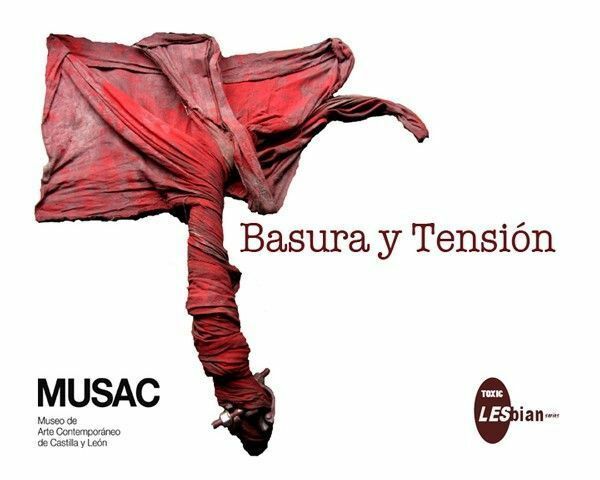 Throughout more than a year, Lacy developed a multidisciplinary project, artistic and political at once, from a proposal by Reina Sofia Museum, in the International Day for the Elimination of Violence against Women in 2010. Toxic Lesbian was invited by the artist and the Museum in order to incorporate to the project the point of view of women socially under-represented; at Tabacalera it was showed too, making part of the agenda of acts in Madrid against Trans pathologisation; and at Intermediae, Matadero, Madrid, were queer university academics talked about transgender and gipsy lesbians suffering gender violence and in the other simultaneous scenario, performers exhibit “Trash and Tension” acting completing with screenings; and finally it was invited by Arteleku in Donosti were a web performance with a complex visual project were offered to presential and virtual public. M.N. Centro de Arte Reina Sofía - In collaboration with American artist Suzanne Lacy, 25 November 2010. Intermediae, Matadero, Madrid - Open dialogues, interviews and performances with screenings of the series, live and online, 11 November 2010. 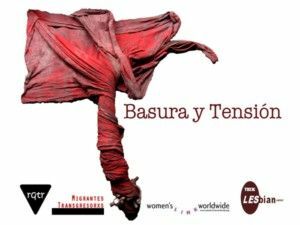 Tabacalera, Madrid -Online performance and debate on Generatch days about trans pathologisation. Arteleku, Donosti - Feministaldia Festival, online performance, 18 December 2010. Trash and Tension 02 - Main video production of the piece. 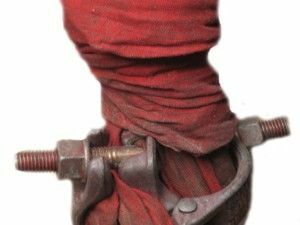 Trash and Tension Interview - Produced for the performance by the streaming channel from the Museo Nacional Centro de Arte Reina Sofía, November 2010. 01. 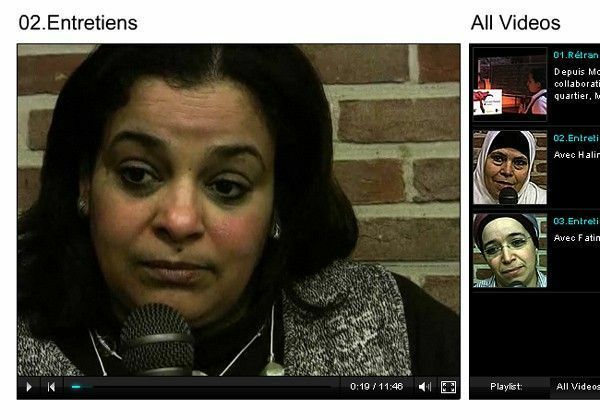 Toxic TV Channel Rebroadcast - From Molenbeek, Brussels, in collaboration with women from the neighbourhood, Merhaba and Caleidoscoop. 02. 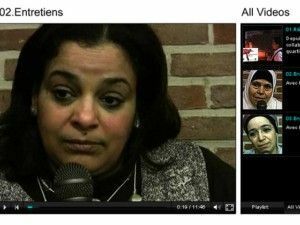 Interviews - With Halima, Kadija and Fatou. Finally, it participates in its third edition in collaboration with some of these social partners as well as international LGBT organizations such as Queeramnesty, Merhaba, Women’s Link Worldwide or activist groups like Migrantes Transgresorxs. This third edition took place at the Complutense University of Madrid, in the social space Vaartkapoen in Brussels (Belgium) and finally in Intermediae, Matadero, Madrid. 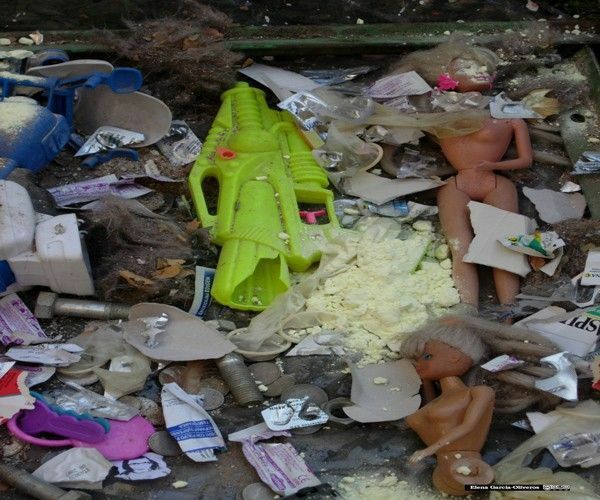 It is concretized in performances and open dialogues about VIOLENCE DERIVED FROM PROCESSES OF SOCIAL EXCLUSION BY LESBOFOBIA, RACISM AND TRANSFOBIA: lesbians of gypsy origin or trans lesbian who suffer the rejection of their relatives and / or their environment and initiate psychological experiences derived from the exclusion , And may or may not aggravate these as a result of the process with psychological problems that without help can lead to mental health problems. Under this picture, these women are especially exposed to various forms of violence and even in relationships that start, or even become, aggressors or victims of domestic violence. Description of the concept of transphobia, cases. (In collaboration with Leticia Rojas, Migrants Transguerxs, Women’s Link Worldwide, David Berna, Lucas Platero, RQTR, Amnesty International Switzerland, Merhaba). 01. Video production ByT 03: Latin X - Piece Created as Delayed-Time during the live session by the Toxic TV Channel in April 2011. 02. Performance for Generatech - La Tabacalera, Madrid, November 2010, in the scope of actions in favor of trans depathologisation. 03. 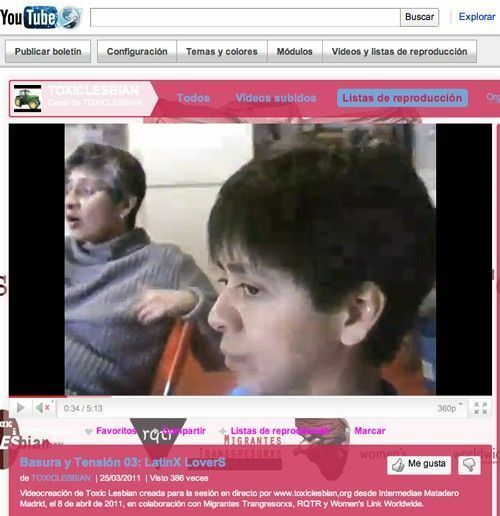 Toxic TV Channel, Latin X Lovers - 8 April 2011, from 7-9pm, extract of the live programme from Intermediae, Matadero, Madrid. 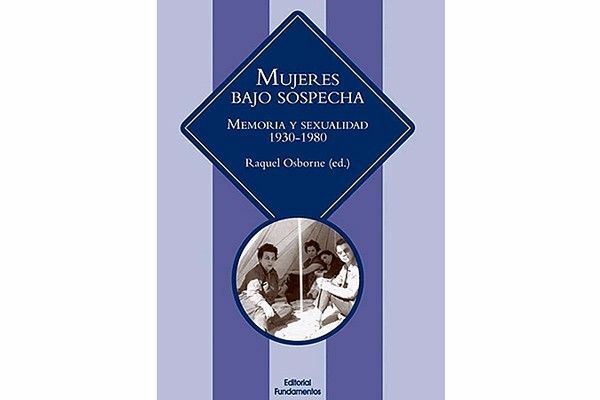 Women under suspicion is a study on dissident forms of sexuality under Francoism, which places particular emphasis on the relationships between women from a gender perspective. The lack of examples of female sexuality during this period makes a linear A to Z history difficult to trace, compounded by the veil of silence imposed both by the reality at the time as well as by the women themselves. 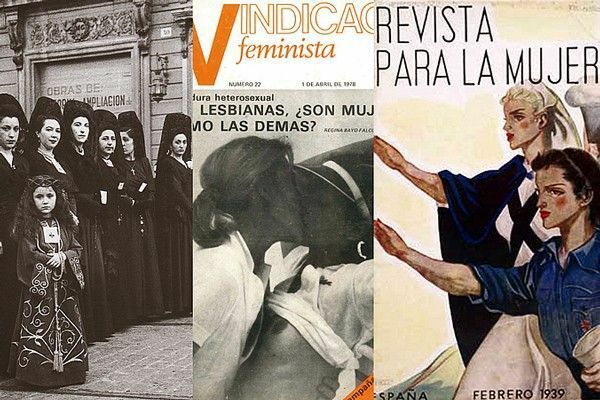 Many were repressed but were also rebellious subjects who experienced with forms of sexuality which undermined the single heterosexual model of the time, refusing to accept a destiny of passiveness. A project was organised in collaboration with Intermediae Matadero-Madrid where Toxic Lesbian Open Dialogues were held in November 2012 to present Women under suspicion, with the participation of the project coordinator Raquel Osborne in dialogue with writer Raquel (Lucas) Platero, researchers María Rosón Villena and Fefa Vila, and professors Jordi M. Monferrer Tomás and Kira Mahamud. Special guest Carlota Leret O´Neill, the daughter of republican writer and prisoner of Franco, Carlota O´Neill, was present, as well as the attending public.